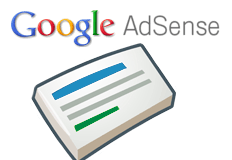 Google announced they have made significant changes to the AdSense payment page look, design and definitions. The changes are still rolling out to all publishers, so if you do not see it yet, do not be worried. Payment method is now called Form of payment. Unpaid finalized earnings is now called Current balance. Contextual help is displayed based on the pages you navigate to. Previous story: Fix Coming For Google "We Currently Do Not Support The Location"